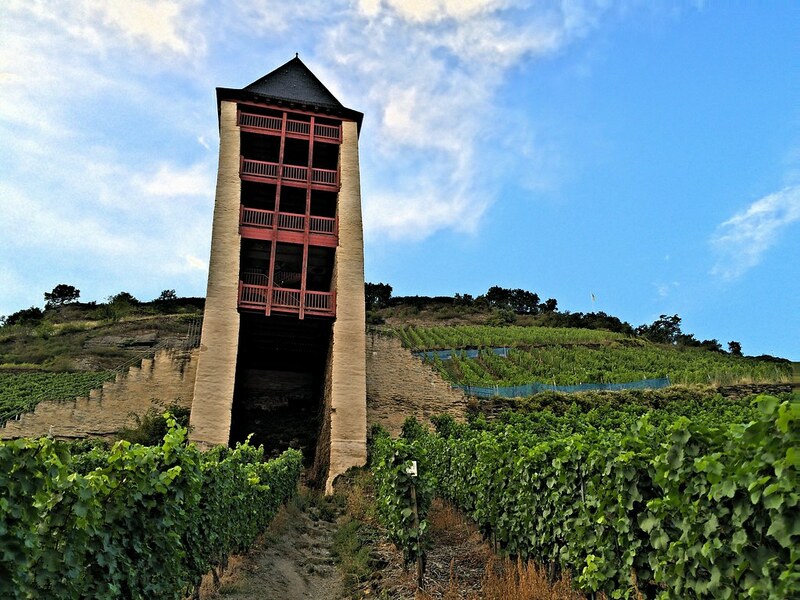 Want good 3G reception in Bacharach? Get ready to climb! Germany is a well-connected country on mobile, generally speaking. 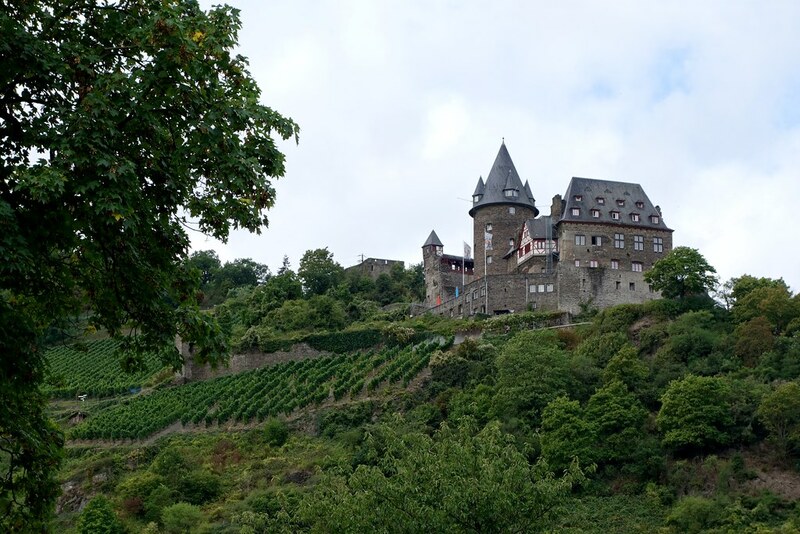 That being said, I found myself limited to 2G EDGE Internet or less in many parts of the town of Bacharach in the Rhine River valley. It was mostly a blessing to be relatively disconnected … but if you really need to get something resembling high(er)-speed mobile Internet on 3G, it is possible in pockets of town, including a lookout tower along the town’s string of wonderful hiking trails (top photo) or in the courtyard/patio of the town’s youth hostel (second photo), reachable by an even windier hiking trail — or by road if you have a car/bike. 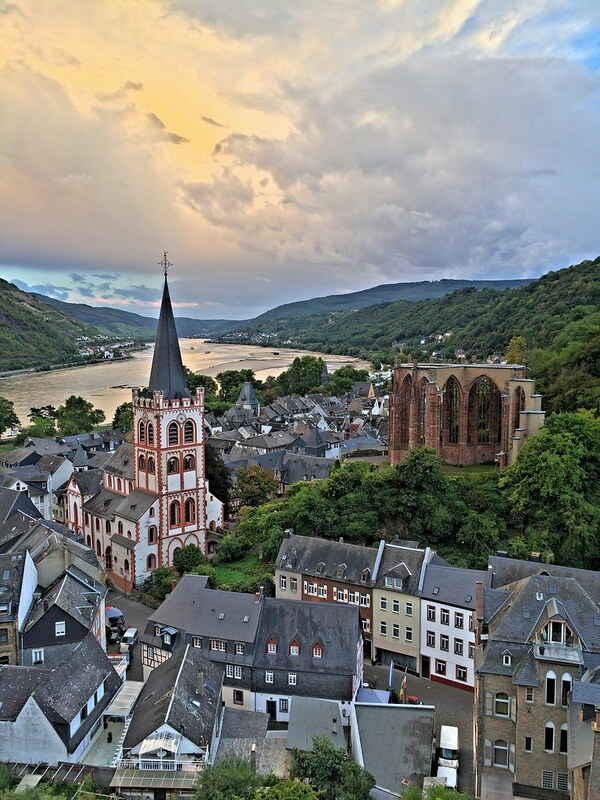 Your search for mobile connectivity will give you a great workout from the vertical ascent … and reward you with a fantastic view of Bacharach and the Rhine River (photo below). Gorgeous pictures, my favorite is the last one. Incredible sky and vie of the town. There is a surreal quality to it. Thanks for sharing.